Instagram/Framsook Lek LekShe nailed it. 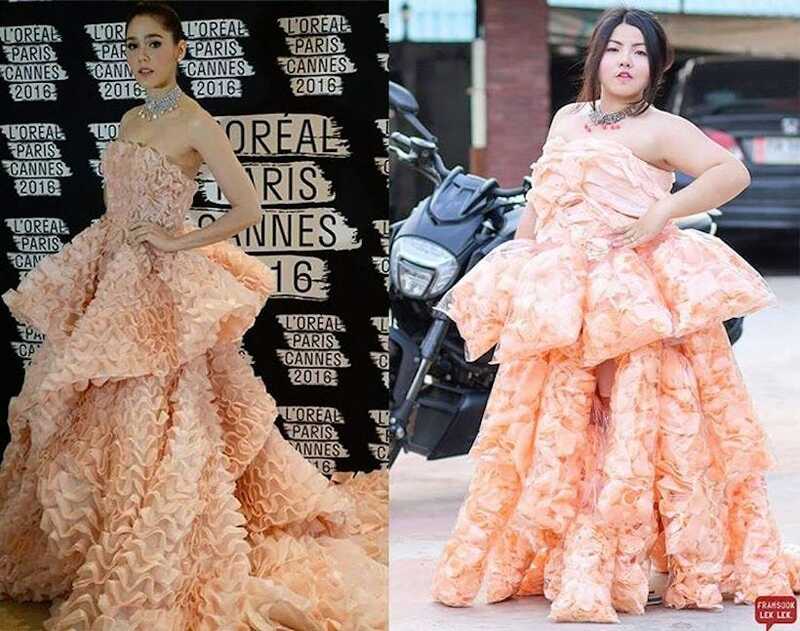 Sine Benjaphorn, a 28-year-old Thai clothing designer, has recreated high-fashion outfits before, but for one dress, she turned to dozens of bags of prawn crackers. After spotting Thai actress Chompoo Araya’s dress at the Cannes Film Festival, Benjaphorn was reminded of the crackers. Other outfits she’s recreated include Claire Danes’ 2016 Met Gala gown and an outfit from Katy Perry’s “Roar” video.